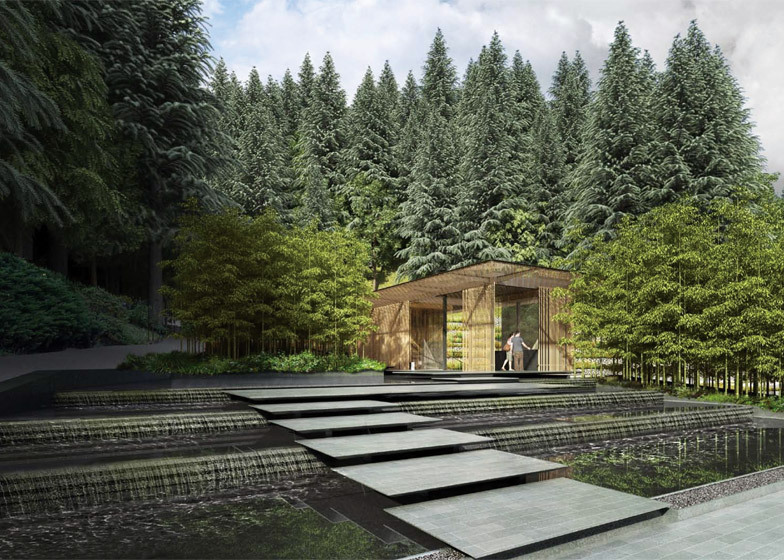 Architect Kengo Kuma has designed an expansion scheme for the Portland Japanese Garden that preserves existing gardens while adding new buildings to the verdant site (+ slideshow). 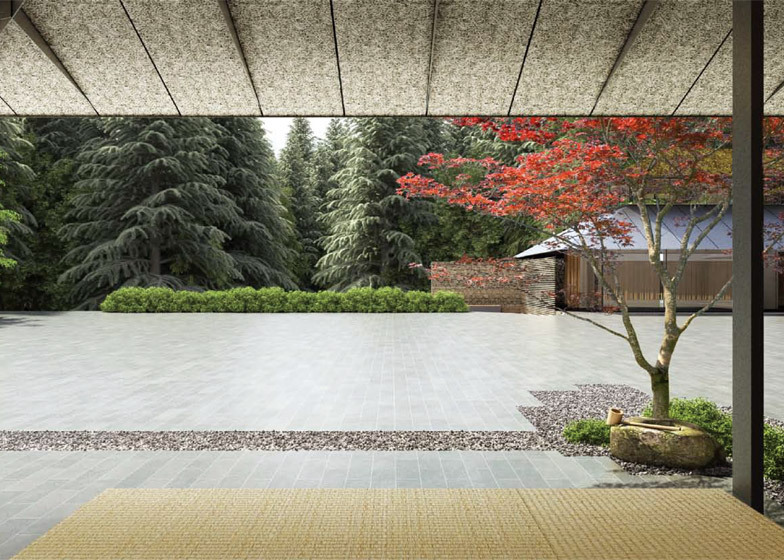 The project – which is the Japanese architect's first public commission in the US – calls for constructing a new "Cultural Village" with several buildings organised around a central courtyard. The village will contain event space, galleries and a tea cafe, among other amenities. Early renderings show cubic and rectilinear volumes with pitched roofs and facades with wooden screens. A popular attraction for locals and tourists, the garden sits atop a small hill near downtown Portland. The project also entails relocating its main entrance to the base of the sloped site. "The Portland Japanese Garden's careful growth is a very important cultural effort, not only for Portland but also for the US and Japan," said Kuma in a statement. The expansion is intended to accommodate an increase in visitors to the garden, which opened in 1963. In its first year of operation, it drew 30,000 people – a number that has since ballooned to more than 300,000 annual visitors. 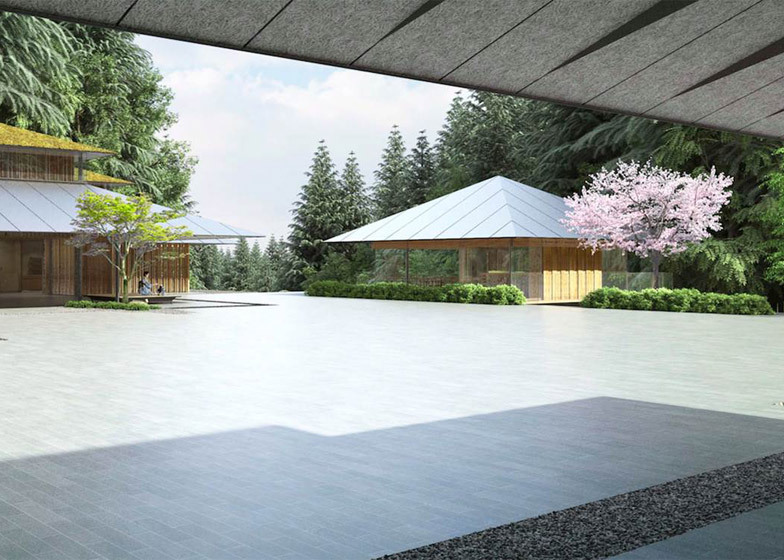 The new buildings will be constructed near the venue's existing gardens, which feature five distinct styles: tea garden, strolling pond garden, natural garden, sand and stone garden, and flat garden. Kuma's scheme follows the Japanese tradition of "monzenmachi", or gate-front towns, where village activity takes place just outside the gates of cultural and religious sites. 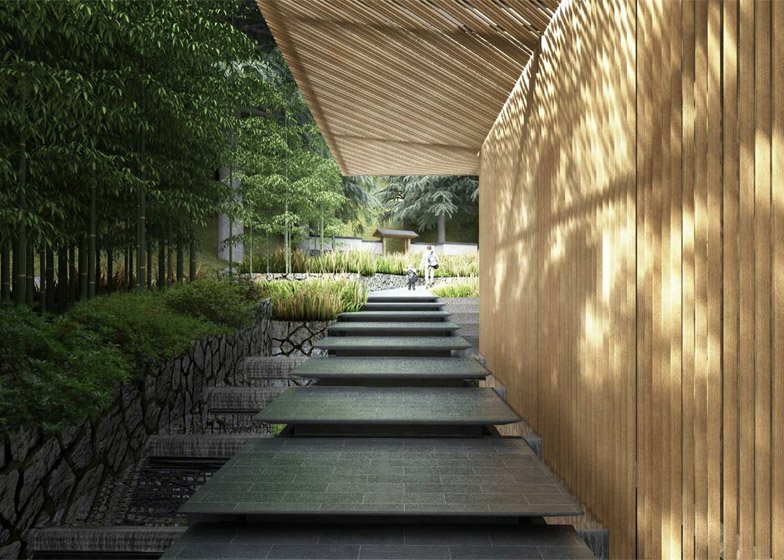 "To continue being a haven of serenity, this project is designed to take the liveliness of social experiences out of the Garden, freeing it up to be a quiet, reverent space," said Cynthia Haruyama, the garden's deputy director. 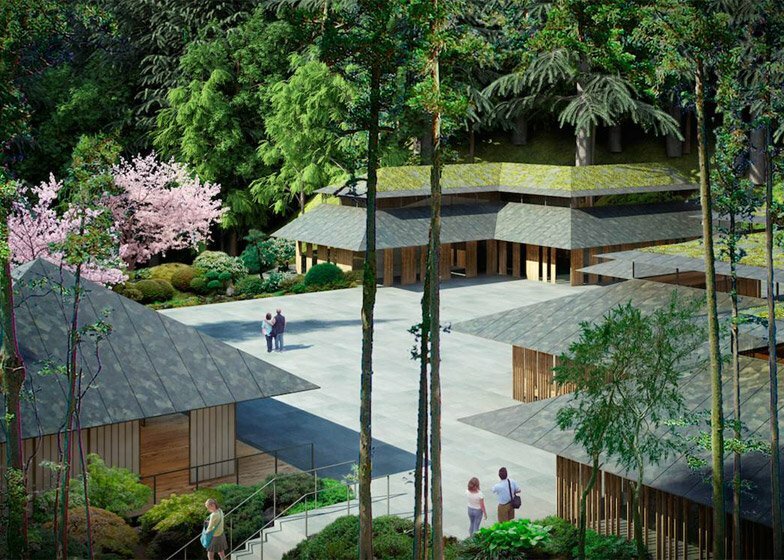 The Cultural Village will comprise three buildings positioned around a large central courtyard, described as a "free-flowing space where visitors can immerse themselves in traditional Japanese arts through seasonal activities, performances and demonstrations." 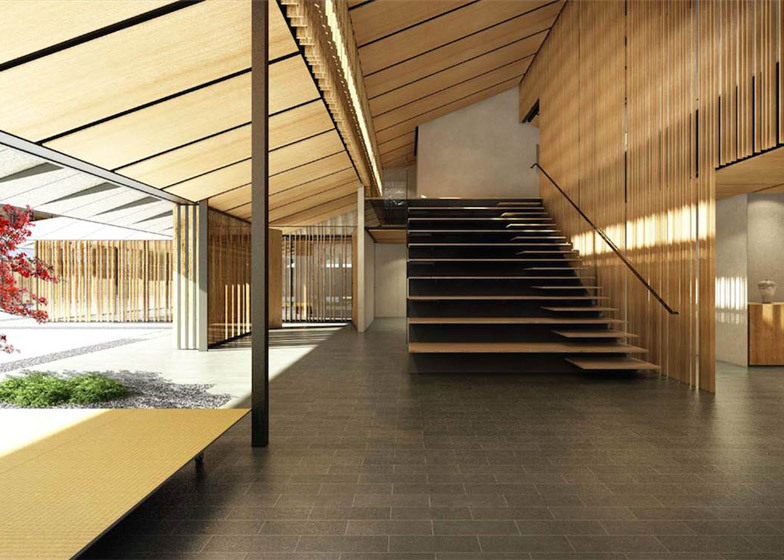 The Village House will contain galleries, event space and a gift shop, along with a library that will be "one of the most comprehensive resources for information on Japanese gardening and related arts". The Garden House will serve as a maintenance and educational facility, while the Tea Cafe will offer a casual environment for relaxing and sipping tea. Renderings show a light-filled space adorned with modern wooden furnishings. 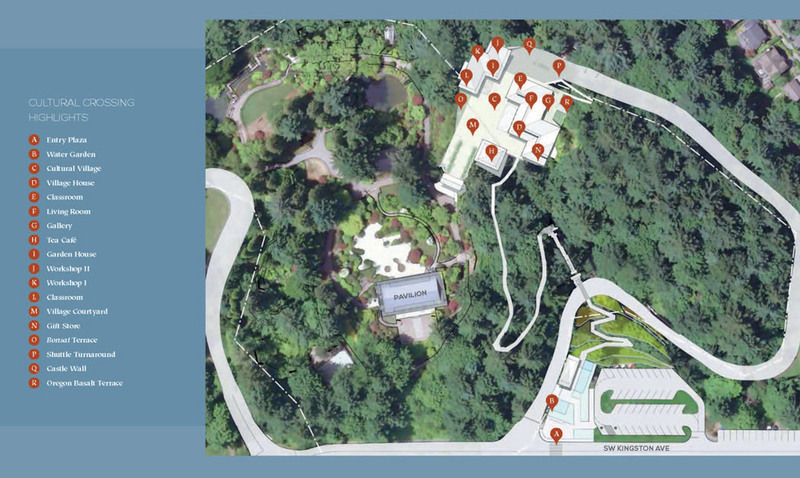 A pathway leading from the entrance to the gardens will be landscaped with more than 200 new trees and shrubs. 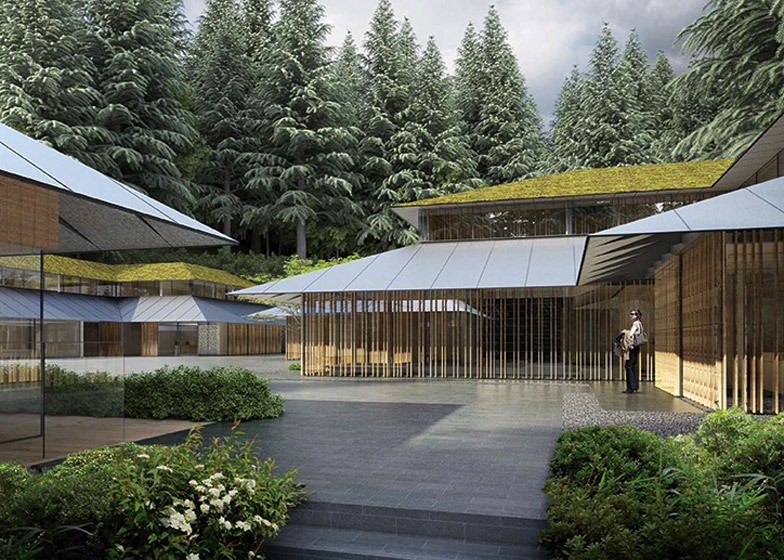 "Kengo Kuma and Associates has developed the vision and design for the expansion, providing a beautiful modern style that blends the traditions of Japanese design with the spirit of the Pacific Northwest," said the garden. The $35 million (£22 million) project is primarily being funded through donations. 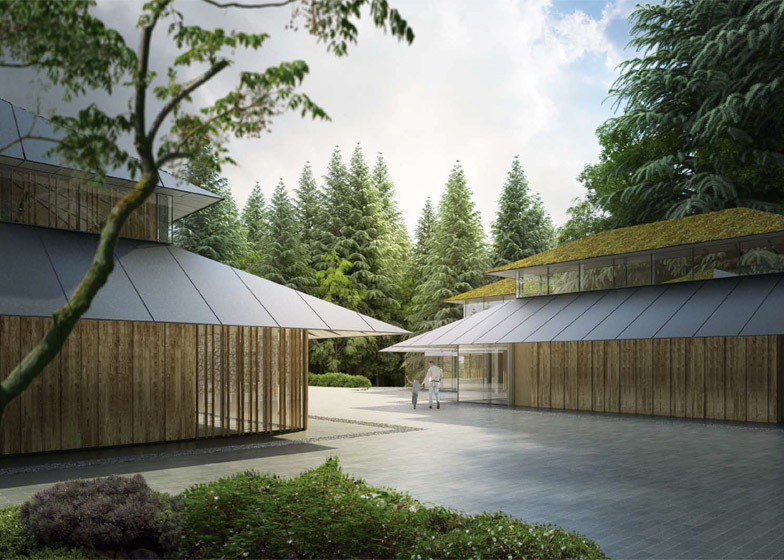 The garden, which is a nonprofit entity, has raised $20 million (£13 million) so far and plans to start construction this autumn. Completion is slated for 2017. "With much of the design work provided pro bono, the majority of the budget will go toward construction, trees and plants, and material costs," said the garden. THA Architecture and Walker Macy, both Portland-based firms, are assisting with the project. The garden's curator, Sadafumi Uchiyama, has designed the landscaping that will surround the new buildings. Kuma, who founded in eponymous firm in 1990, is well known for creating modern buildings that reference traditional Japanese craftmanship and design. 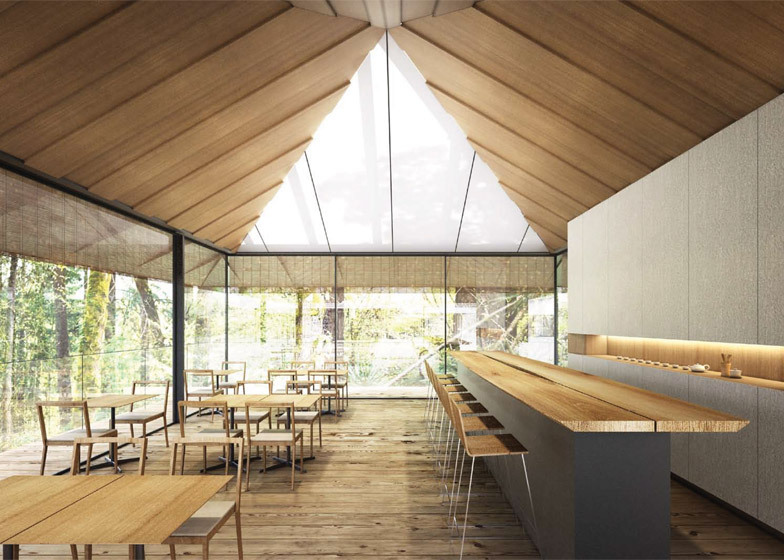 Other recent projects by the Tokyo-based architect include the refurbishment of a Beijing tea house and a new community centre in Towada, Japan.